Untitled, ca. 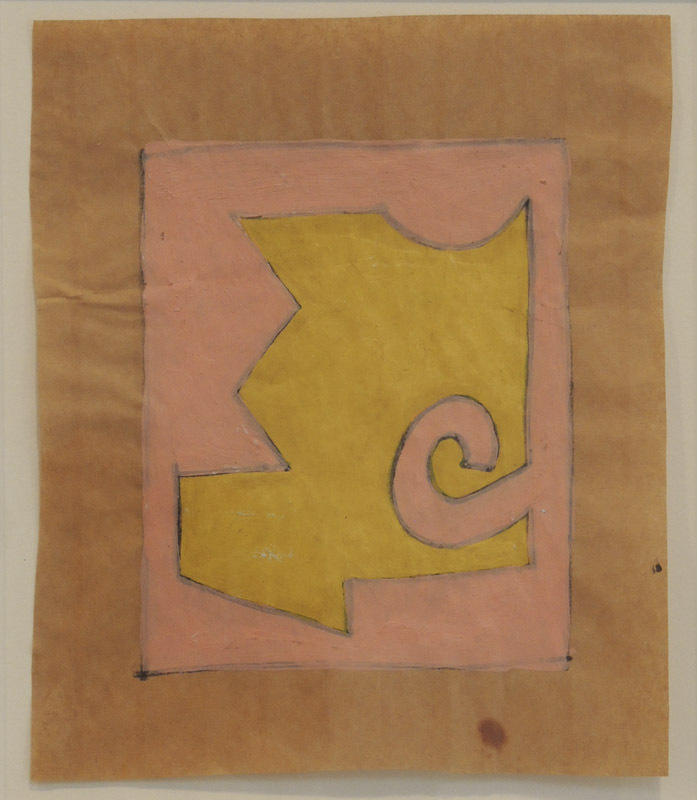 1960; gouache on corrugated cardboard, 5 1/4 x 6 1/8 in. I love being surprised by a new aspect of an artist's work. Tony Smith is known mainly as a minimalist sculptor who worked with simple, monumental, black-painted geometric forms (see the last image in this post). These seven very small, colorful, informal gouaches were therefore quite unexpected. 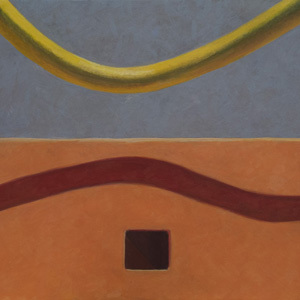 They were on view at Matthew Marks Gallery's small space at 502 W 22 St (until Oct 24); the show is not mentioned on the gallery website, so I am grateful to the artist Cary Smith for telling me about it. 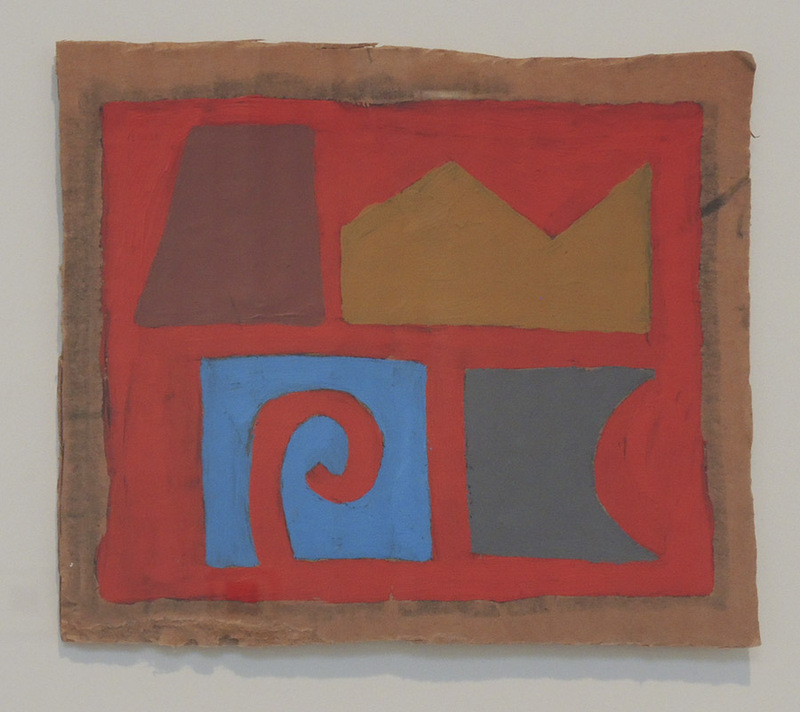 They are painted on ordinary materials––cardboard and brown paper––and are wonderfully casual. 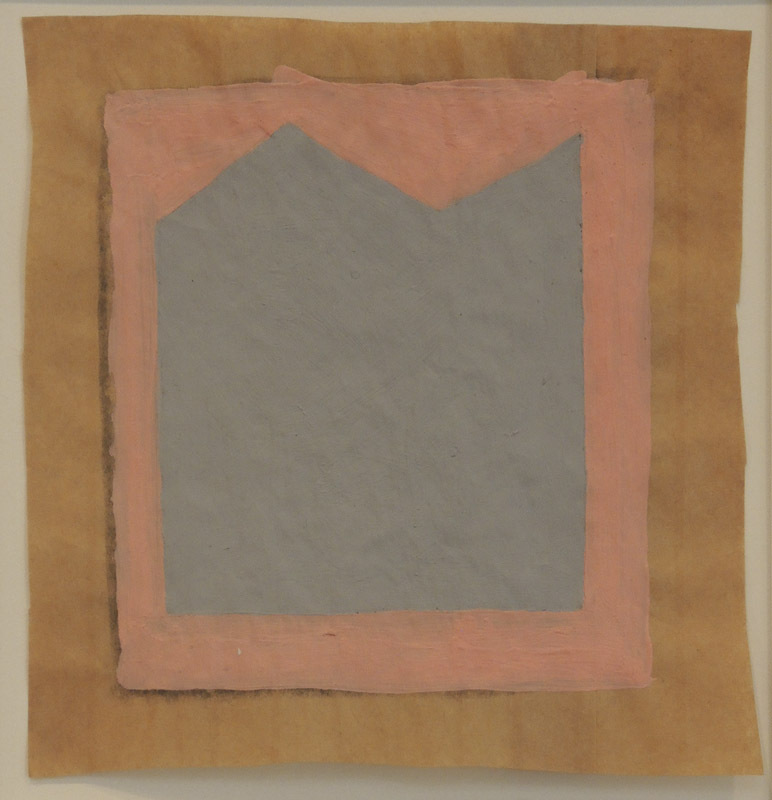 Shapes––curving and straight-sided, all quite irregular––are contained within loosely drawn rectangles whose boundaries are marked with charcoal. 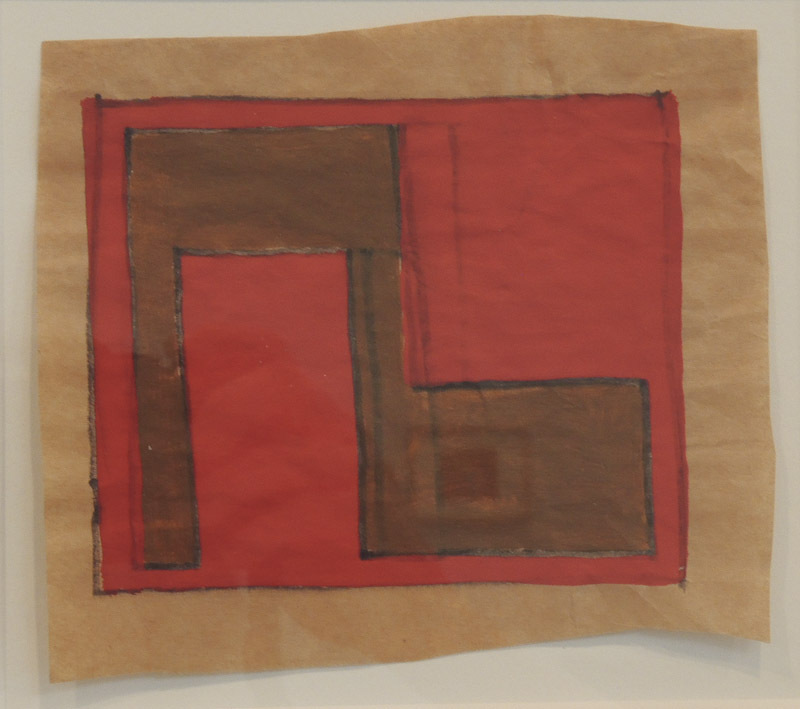 The drawing on cardboard is the only one to combine several shapes within the rectangle. Three shapes are geometric, with one, an intense blue, allowing a curling curve within its square. Smith worked as an architect for many years, and this drawing seems almost like a fanciful floor plan. Untitled, ca. 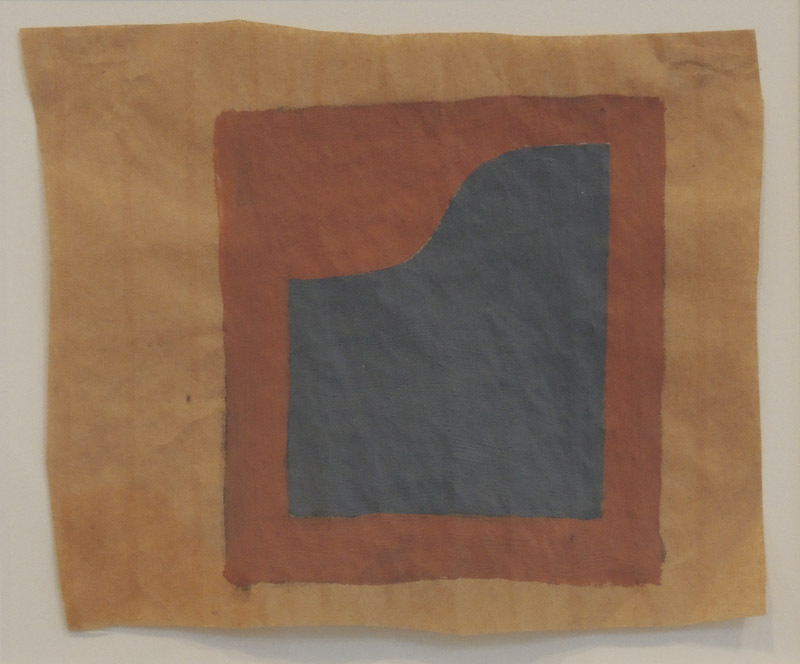 1960; set of six gouaches on paper, 6 3/8 x 5 1/2 in. 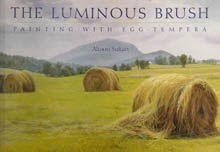 Although there's a casualness to the drawing, the color relationships are sensitive and spot-on. The blue-gray and the cool dark red are perfectly matched: the dips into blue become red breasts, the blue curve a head with raised arms. Or...just an amusing shape, however you see it. 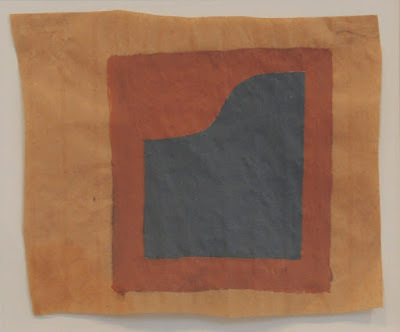 The brown paper––which has laid lines on it, so maybe it was a little fancier than cut from a bag––has a delightful dip at its lower right, and its edges are far from straight. I imagine Smith, quickly cutting a bunch of small pieces of paper, not caring that the edges wobbled, piling them up to be ready for small sketches. Untitled, ca. 1960; set of six gouaches on paper, 4 1/2 x 5 in. This drawing is the only one that in its geometry refers to Smith's sculpture. The rich red and brown, the searched for edges, the small reddish rectangles within the brown, move the drawing beyond a simple study. Untitled, ca. 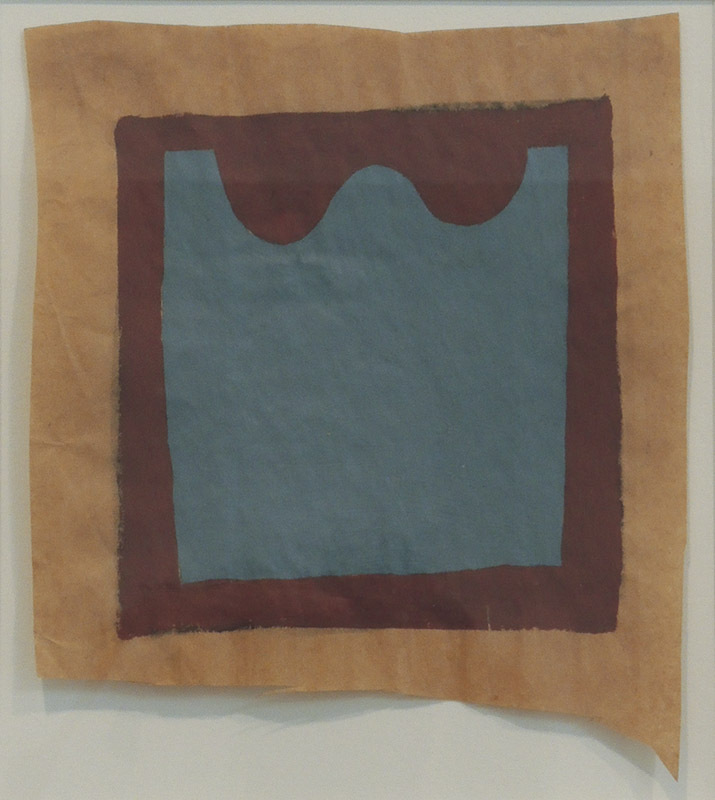 1960; set of six gouaches on paper, 4 1/2 x 5 1/2 in. There's a beautiful balance between the forms and their placement on the paper. With work this seemingly simple, it's tempting to think it's easy to do, but I think that its very simplicity makes it much harder to pull off successfully; each element can go wrong with just a slight shift, throwing off the drawing's balance. Untitled, ca. 1960; set of six gouaches on paper, 6 x 5 in. This drawing is the quirkiest of the group, with a tension between the jagged outline and the inward curve; it feels ready to explode. Untitled, ca. 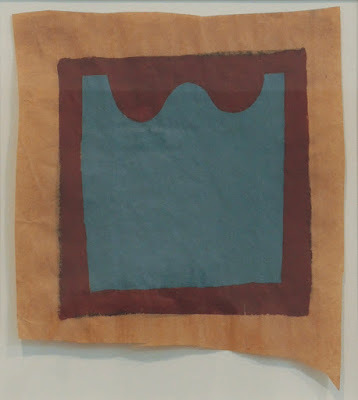 1960; set of six gouaches on paper, 6 x 5 3/4 in. The gray form is another architectural reference, as in the first drawing above. Any somber reading of it is belied by the pink surround. Untitled, ca. 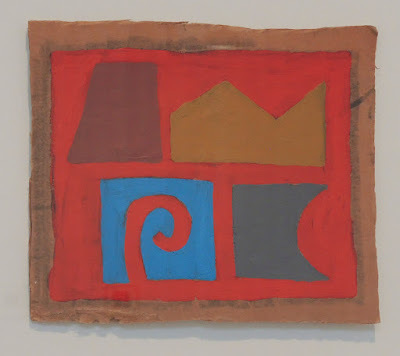 1960; set of six gouaches on paper, 7 1/4 x 6 in. 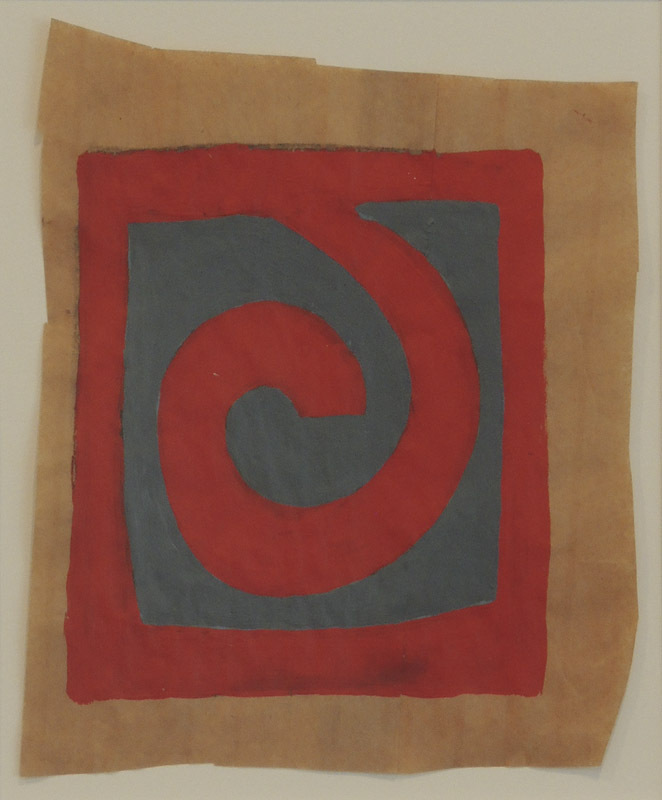 Lastly, intertwined gray and red spirals; first the red takes precedence, then the gray. The drawing is off-beat, not smooth and regular, which gives this small work tremendous energy, and charm. 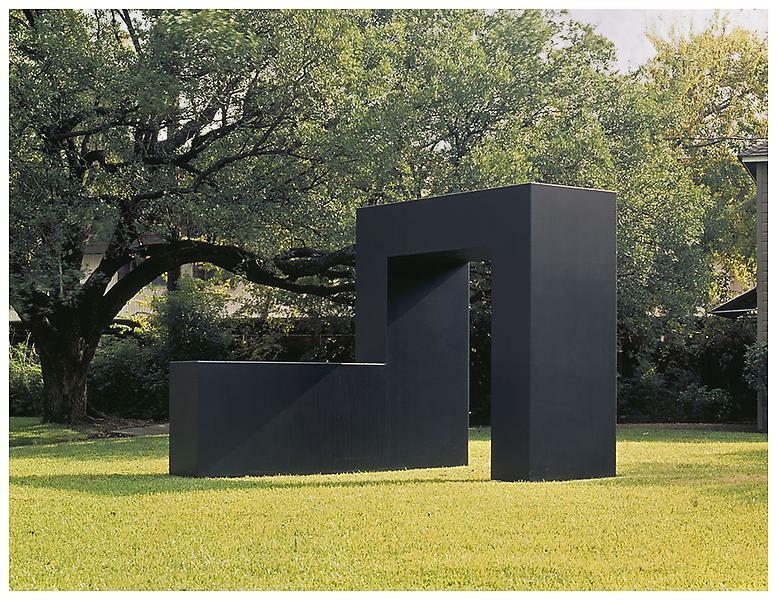 Marriage, 1961; steel, painted black, 120 x 120 x 144 in. The sculpture above is more typical of Smith's important work. His sculpture has tremendous presence and power, but I'm glad he also did some lighthearted, buoyant drawings. Thanks for posting; these are fun to see. About a year ago I started cutting up heavy paper shopping bags and have been using them for sketches, notes, blotting, printing proofs, wrapping, etc. Very handy to have piles of different sizes in the studio and a clip of small ones in my backpack. A long time since we used them to cover textbooks. Anyway, thanks again, am glad I still have time to go see them in person. You're welcome, Patrick. Sounds like you have the same idea that Smith had.